Fine Gael TD said it is an unusual piece of legislation as our laws do not generally address such personal issues as familial bonds. 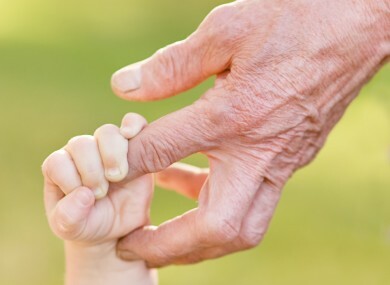 A NEW BILL, legislating for the rights of grandparents to apply for access to children will introduce a definition of the term in child guardianship law. Last week the Rights of Grandparents Bill 2013 was moved in the Dáil to its first stage by Fine Gael TD Derek Keating. The bill will change the current obligation on grandparents to have to apply to court for leave before applying for access to their grandchildren in circumstances where access is denied. The bill is an unusual piece of legislation as Keating said our laws do not generally address such personal issues as familial bonds. He said the bill moves towards ensuring that grandparents have access to their grandchildren, where appropriate, and “facilitates the continued development of a relationship or a bond between the two, which should be encouraged whenever possible”. A grandparent in relation to a child means a grandparent whether of whole/half blood or by affinity and includes the spouse of such person, a parent of a child’s adopted parent and an adoptive parent of a child’s parent. Under the proposed legislation, the court will have regard to all circumstances including the particular applicant’s connection with a child, the risk of the applicant disrupting the child’s life to that extent that they would be harmed by it, the wishes of the parents and fundamentally the wishes of the child. Email “New bill introduces definition of a grandparent”. Feedback on “New bill introduces definition of a grandparent”.